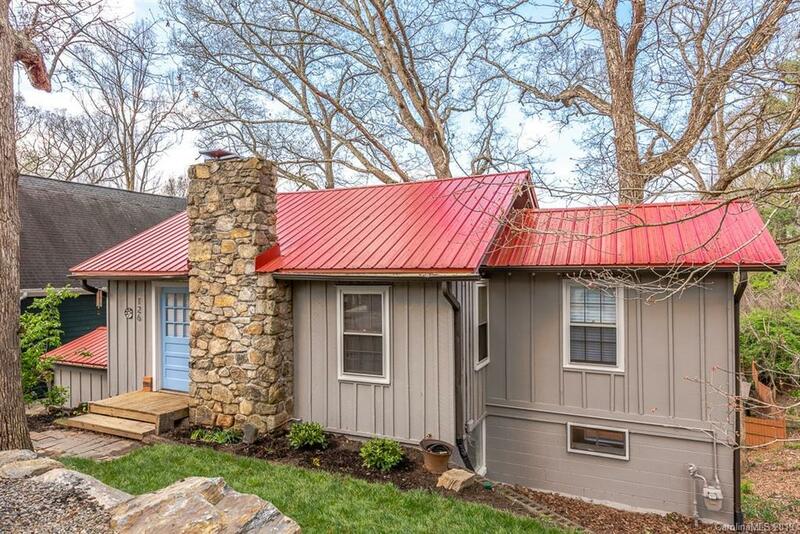 Adorable, fully renovated 3 bedroom, 2 bath 1950's cottage in a great neighborhood very near downtown Asheville! Move into this home and you will be mere minutes from restaurants, a movie theater, brewery, grocery stores, great schools, North Asheville Tailgate Market, hiking trails and UNCA. This home has been lovingly restored and features a brand new cook's kitchen with Samsung appliances and Brazilian granite counter tops, custom pantry with ample shelving and recessed refrigerator, and a breakfast nook with excellent light and mountain views. Home also boasts a wood burning fireplace, lots of beautiful wood, and oak ceilings with exposed beams. Enjoy beautiful sunset views from your kitchen windows, shade from mature and healthy white oak trees, and a sunny south and west facing back yard recently cleared for gardens, perfect for raised beds and terrace. Come see!